For the second straight week, Patrick Mahomes II (KC) is the clear top option in Tier 1 despite being surrounded by other elite QBs. 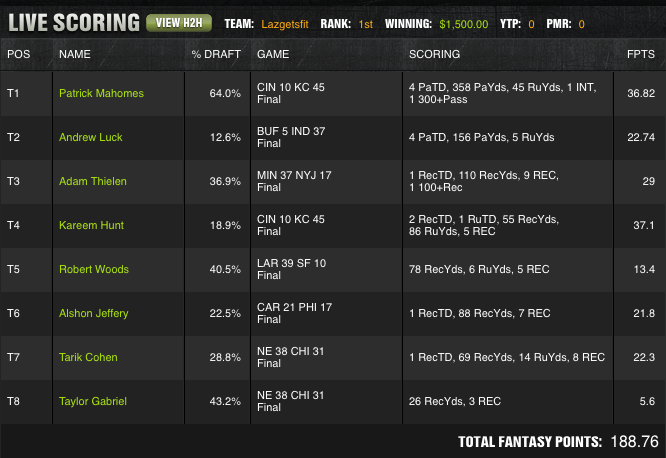 Mahomes didn’t disappoint last week, putting up 36.82 DK points to lead Tier 1. He was, however, 64% owned in the Spy Single Entry contest. 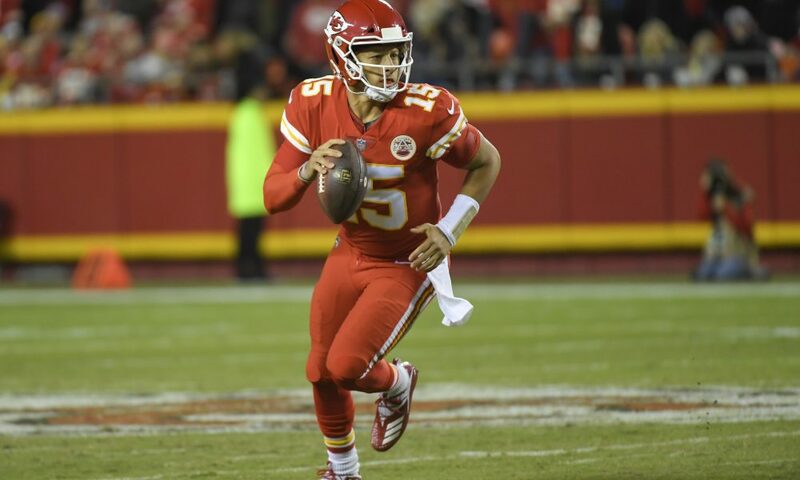 As strong of a play as Mahomes is, if you expect similar ownership, it might make sense to fade. There’s about a 50/50 chance that Mahomes doesn’t finish Top 2 at the position. It is interesting that at our 95th percentile projections, things seem to even out, but we’re planning on the high end but reasonable to expect outcomes (occurring 10-25% of the time) and not an outlier outcome (occurring 5% of the time).